Lately, my husband and I have become concerned that our 14-year-old son could be “lost.” The things he used to care about haven’t seemed to matter anymore. When we try to talk to him, we HOPE for a monosyllabic answer but only get caveman grunts. Other parents have told us this is not unusual. But for our vibrant Mario, it is. We’ve tried patience and kindness – no changes. So now we are trying tough love – there is a tiny glimmer of hope. But today, I tried something brilliant: Breakfast OUT, just the 2 of us! As long as it does not conflict with Mario’s sleeping or Jayhawks Basketball schedule, he can usually be talked into sharing a good meal – especially breakfast. I seized my opportunity this morning while hubby is away performing “Dance Dad” duties with our daughter. 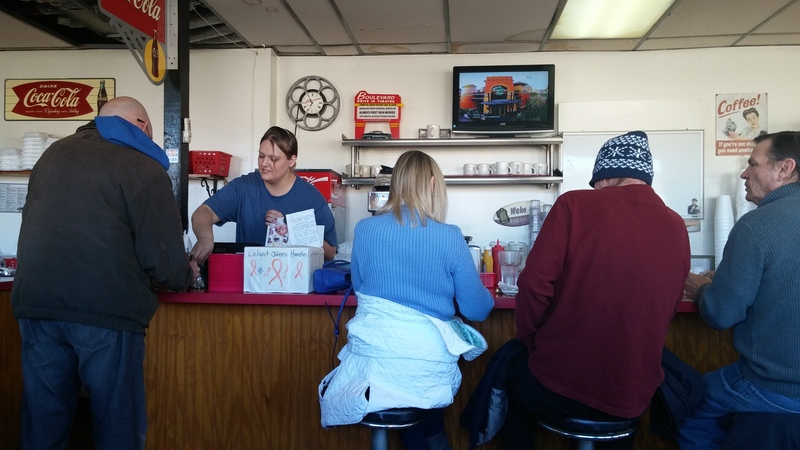 “Mario how about a quick, greasy, grubby breakfast this morning at one of Mom’s favorite divey restaurants, ” I beckon. He rubs his eyes and hangs his enormous apelike arm around my shoulder and grunts. This is more or less acquiescence. 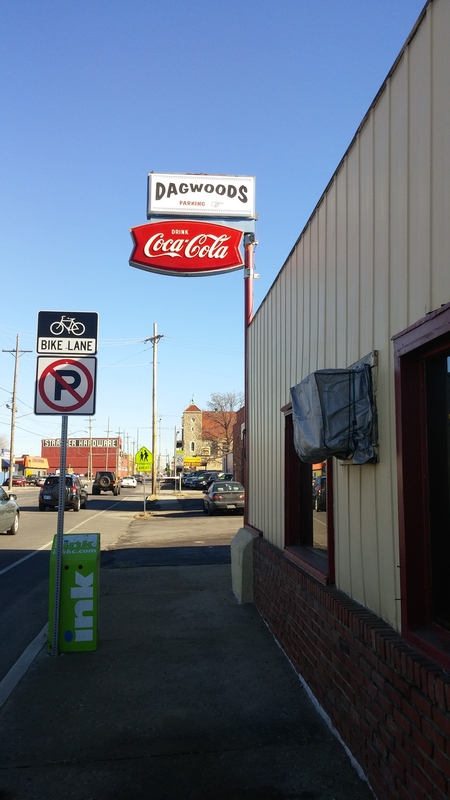 Before the mood changes, I quickly throw the first sweatshirt on from my closet and off we go to Dagwood’s. He is pretty quiet at first, but when breakfast is served, suddenly we are BOTH 14-year-old LINEBACKERS. “Jesus, Mom!” Mario laughs as I greedily hover over my food and pick my French Toast smothered in powdered sugar up with my hands, fold it and inhale in one gulp. “Calm down!”. I become Chris Farley from the SNL scene with David Spade and Adam Sandler, “BACK OFF! I’M STARVED!”. We begin laughing hysterically and fortunately, because it is Dagwood’s and we don’t see any snoots from Johnson County, nobody cares. Mario starts talking. Immediately, he goes to football and his most recent season with his beloved Coach Pat. “We killed every team in the league,” he reminisces – but not in a braggy way. “The Johnson County Moms would be clapping politely for their sons,” he recalls with a smile, “and the Missouri players’ Moms were like, ‘Come on, D’Anthony! Get your head in the game!”. He was always afraid his loud Mom would go to a game and get into a “Mom Fight”! I draw a deep, happily reassured breath and tell him, “Mario, do you have any idea how cocky I am going to be when you play D1 football?”. He doesn’t even flinch. “It’s not that hard, Mom – no big deal.” But there is a flicker in my son’s eye – I see that he wants something and he cares. I change the subject back to food, since my understanding of football is extremely limited. Like the Food Critic from the movie Ratatouille, just the sight of French Toast transforms me into a happy child again. I tell my son, “Mario, in the summertime growing up, Grandma Rhetta made stacks of French Toast a mile high, “(he has heard this story many times and does not comment that I grossly exaggerate the height of the French Toast stack every time). “We would grab pieces of it, shake a bunch of powdered sugar on it, fold it, and stuff it in our mouths! Then we would go play in the pool all day while Grandma Rhetta made homemade ice cream.” I am sharing with my son and he is listening. He is definitely not lost. 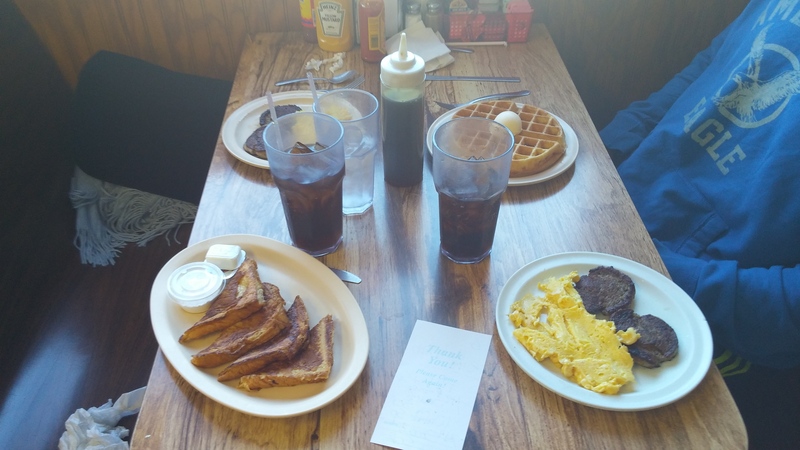 So 2 miraculous things have occurred between myself and my son over this simple greasy-spoon breakfast: he has shared what he cares about, I have shared what I care about – and for a few cherished moments, we are One. Then in the car on the way home, Mario shares the most shocking evidence that he is far from lost – he is HOME and he is FINE. 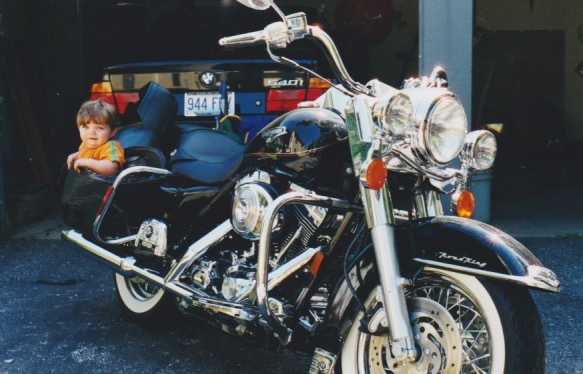 He tells me, “I remember the day Dad stuffed me into that bag on his Harley. How old was I?”. Uh- barely 1, Mario! He is telling me he feels connected to our family and he has shown me, in one simple Saturday morning outing, that everything is going to be okay. This has been my 3rd sign today. Even though he is back in his dark, musty “teenaged boy cave” just upstairs – and we are worlds apart again – I know I have my son back. 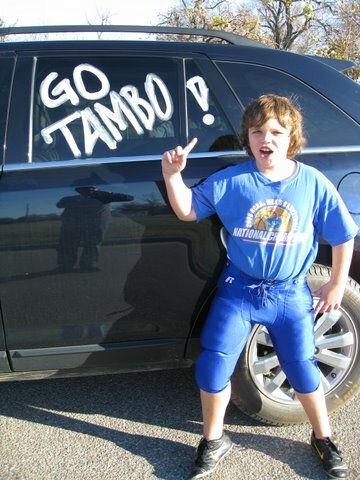 And yes, I WILL be the LOUDEST, most OBNOXIOUS college football Mom on the planet – he can count on that! I am looking forward to more breakfasts. Great story Joanie. So, glad to read how you were able to reconnect with your son. You’re a good Mom! !